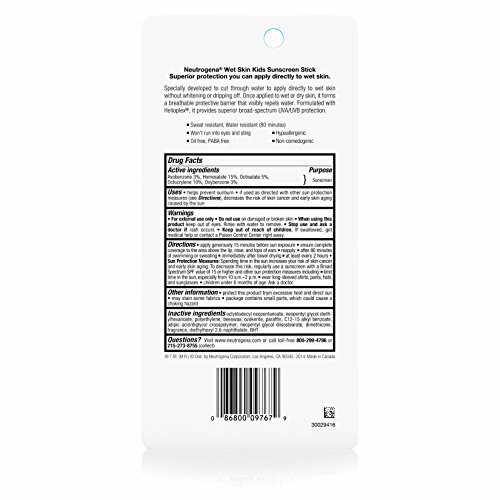 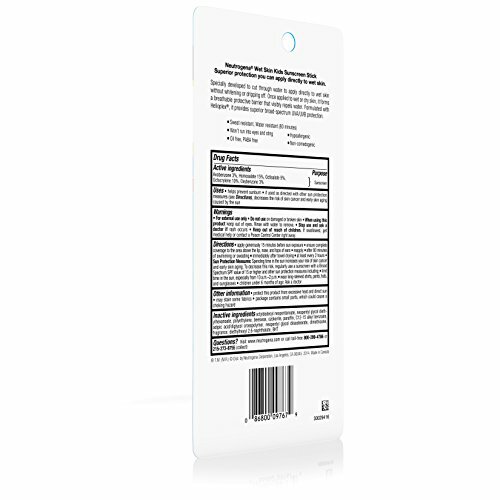 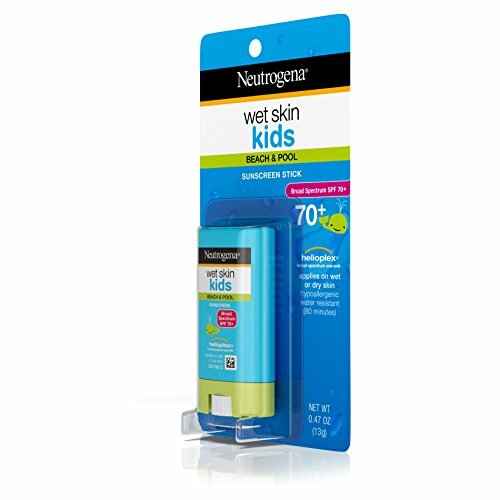 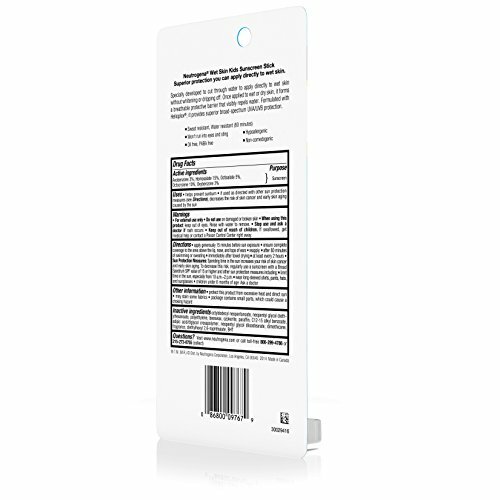 Home > Sun care > Sunscreen > face sunscreen > Neutrogena Wet Skin Kids Stick Sunscreen Broad Spectrum Spf 70, 0.47 Oz. 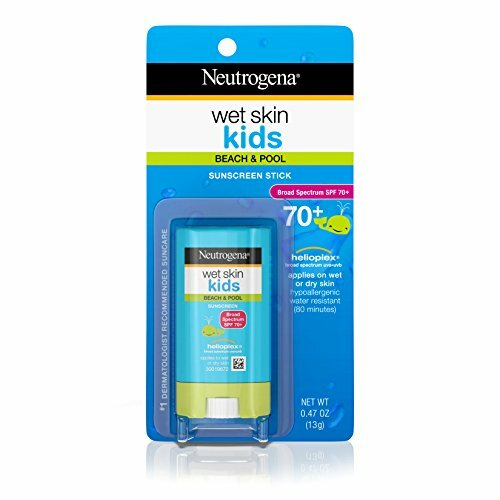 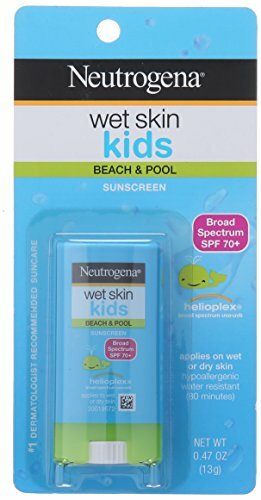 Help keep kids protected against sun damage at the beach or the pool with Neutrogena Wet Skin Kids Stick Sunscreen Broad Spectrum SPF 70. 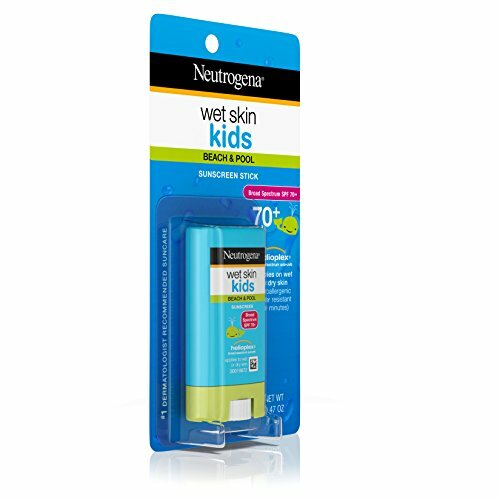 Made for active kids, this convenient stick sunscreen is specially formulated to work on wet skin. 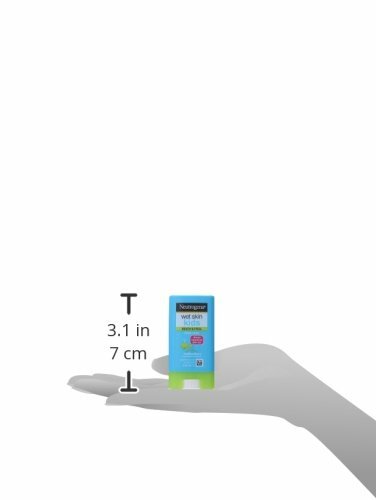 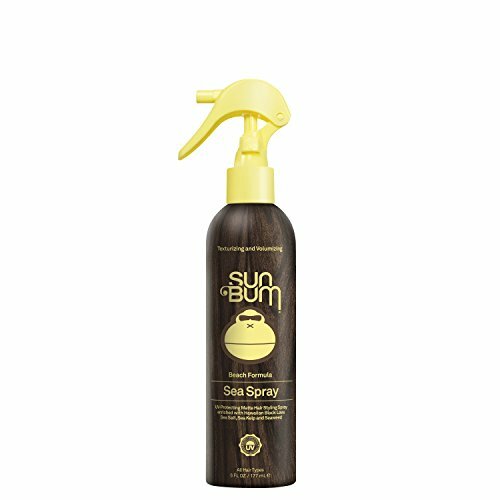 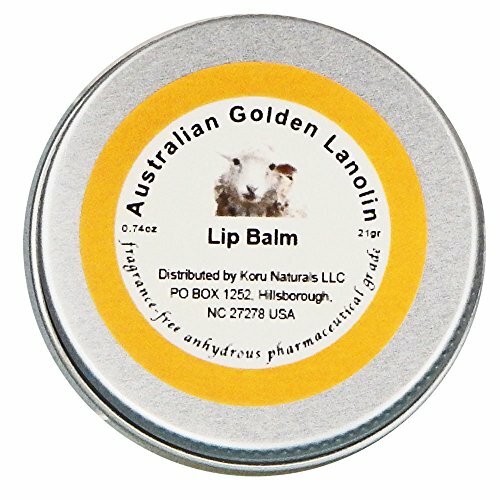 It instantly cuts through water, creating a Broad Spectrum protection with every application. 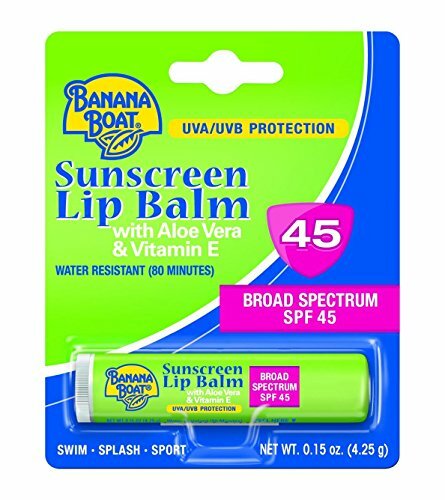 This sunscreen is formulated with clinically-proven Helioplex, an advanced sunscreen technology with superior broad-spectrum protection from skin-aging UVA rays and skin-burning UVB rays. 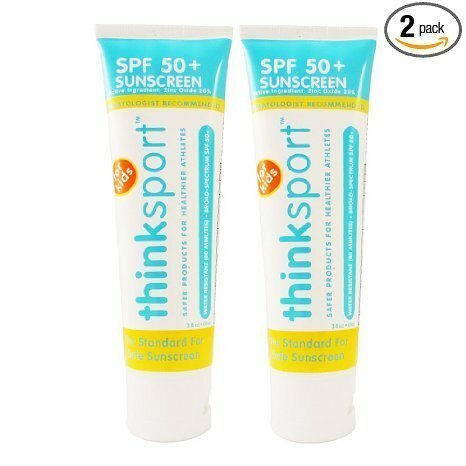 This dermatologist-tested sunscreen is hypoallergenic, oil-free, and PABA-free.